The hotel has 33 rooms where can stay from one to four persons. Overall “Alexa” can welcome 81 guests at once. It means hotel is suitable not only for single tourists but for groups as well. Every room has satellite TV, work desk, separate bathroom with shower and toilet. Luxury rooms are more preferable for their balcony with the city view and seating area. Some of the rooms are specially adapted for disabled people. People with pets (dogs, cats or small pets) are welcome. Single rooms are equipped with satellite TV, work desk, private bathroom with shower. Non-smoking room. 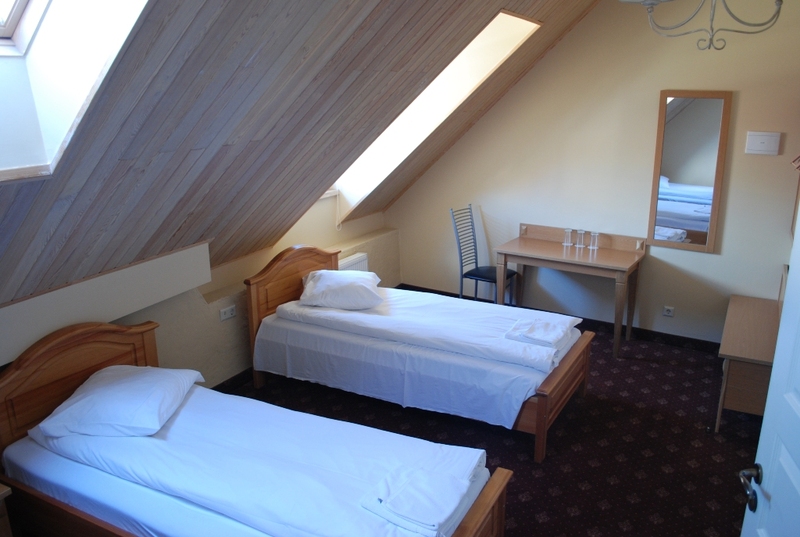 Double rooms are equipped with satellite TV, work desk, separate bathroom. This type of rooms guests can choose between double or two single beds. 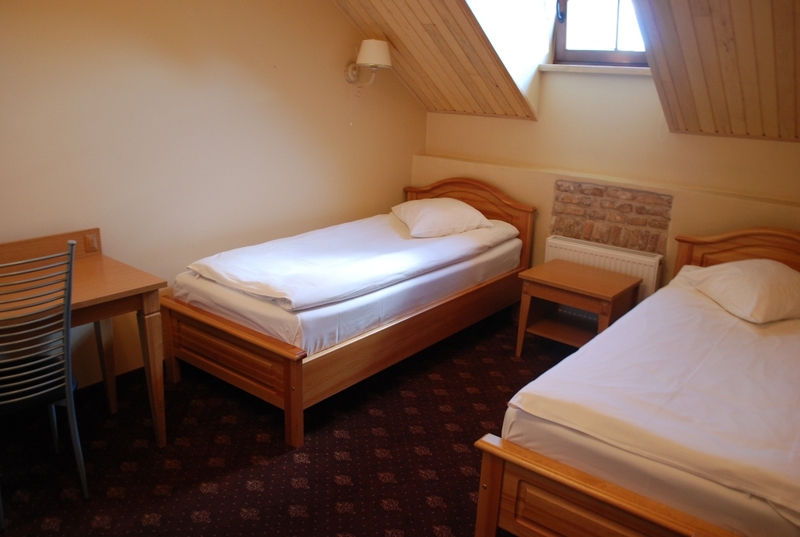 It may also be presented an extra bed for children under 7 years free of charge, over 7 years - at an additional cost. Non-smoking room. Triple rooms are equipped with satellite TV, work desk, private bathroom with shower. Non-smoking room. Quad rooms are equipped with satellite TV, work desk, private bathroom with shower. Non-smoking room. Superior room has a television with satellite TV, work desk, private bathroom, seating area, balcony. These spacious class rooms, designed for people with disabilities, living with pets (dogs, cats, other small pets).